Eric Sipes and I left Cordell at approximately 9:30 am for Will Rogers Airport to pick up Ben McMillan who was flying in to join with us on the chase. Our morning target was the Vernon, TX to Altus, OK to Snyder, OK triangle, a target that verified even though we didn't end up there. After picking Ben up we blasted down I-44 toward Lawton with the intention of heading W from there. However, after checking data on the way, we felt it might be better to head for a more northern target (around Hobart) with the option of heading south toward our original planned target. 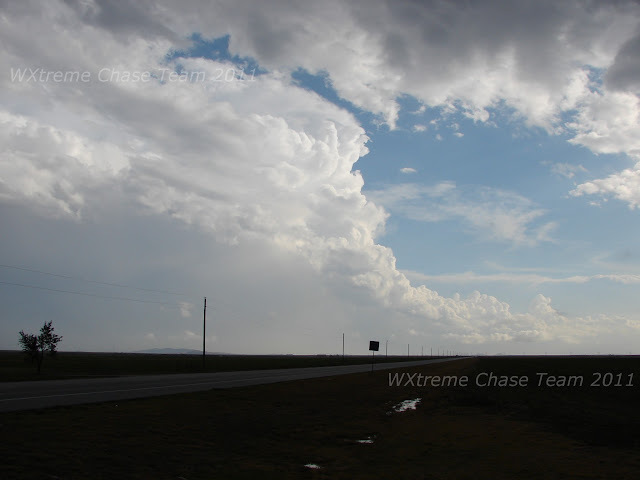 As we approached Hobart a storm went tornado warned near the TX border to the WSW of Hobart and a couple more had developed near Altus moving NE so we felt our target had verified although we kept an eye on the storm just S of the Red River on radar. 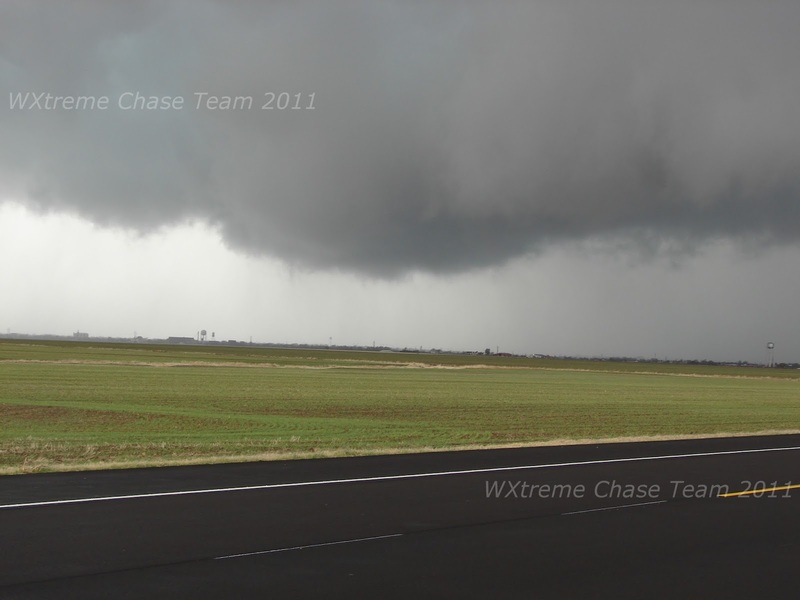 After aborting an intercept of the western storm which was rapidly weakening we noted some rotation on the storm just W of Hobart. 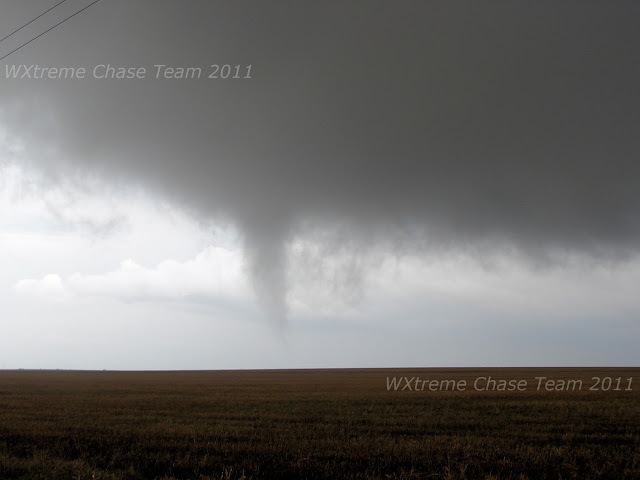 We pulled off and observed this funnel cloud with weak, intermittent ground circulation at 3:03-3:05 Pm CST. The Kiowa County storm produced a significant wall-cloud with strong rotation over Hobart at 3:35 - 3:40 pm CST, but when we were hit with ice-cold RFD we realized that the southern storm was interfering with the inflow. We elected to abandon the storm and set a course along SR 9 to intercept the southern storm that was now entering the Wichita Mountains. 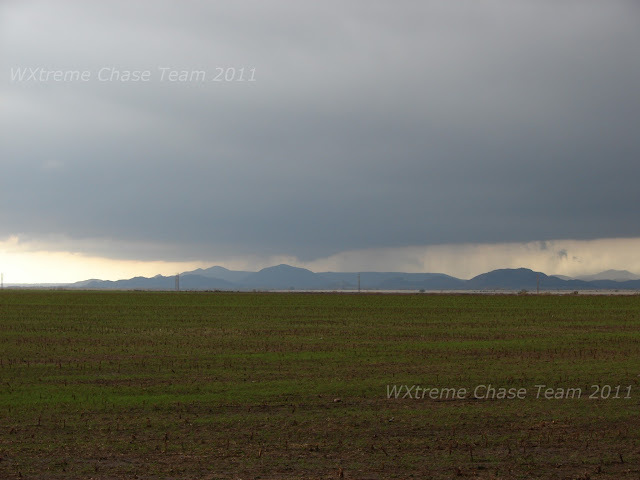 At Carnegie we headed S on SR 58 and elected to core punch with some concern about what we might find once we cleared the precipitation and some concern about hail. We encountered a few walnut-sized pieces (enough to give my Subaru a few dents) and cleared the precipitation in time to see the very end of the tornado coming out of the Wichita Mountains. 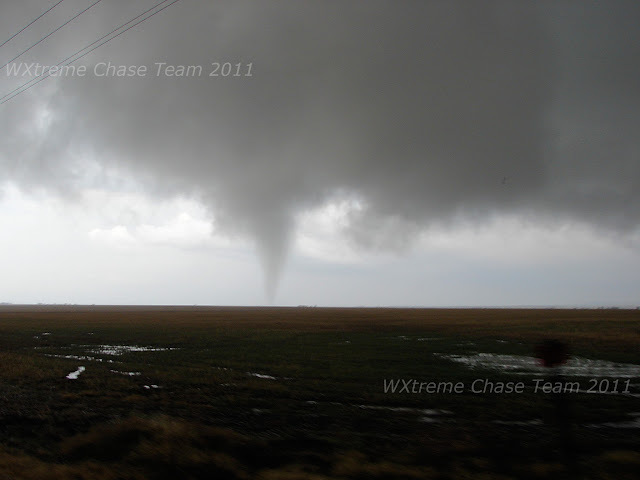 We continued to observe the circulation as it cross the road to the S of our position with some tightly-rotating rain curtains but no condensation and then headed a couple of miles N to CR 1380 which would put us on an intercept path as we headed E. A small tornado touched down at about 4:45 pm CST and approached our position. We crept up on it with Ben's experienced guidance as it approached the road. 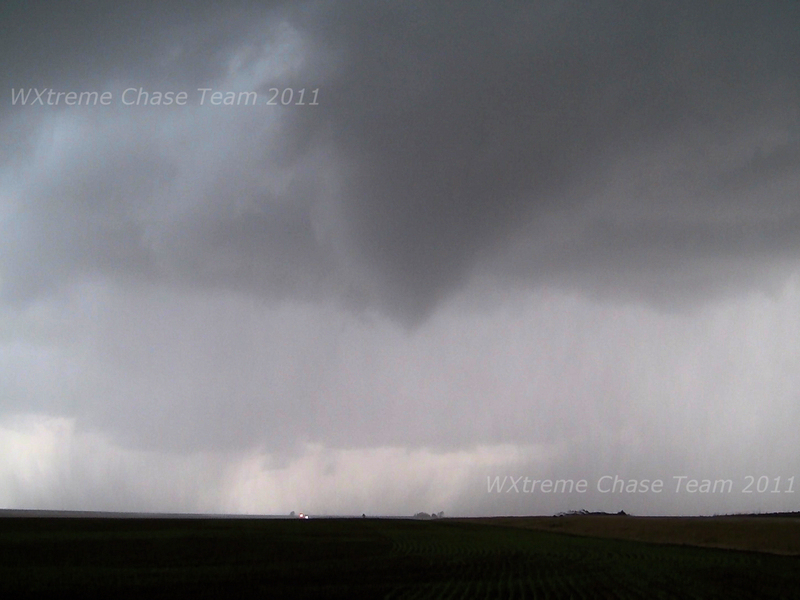 However, as it approached the road about 300 yards to our E it quickly weakened and the condensation lifted. 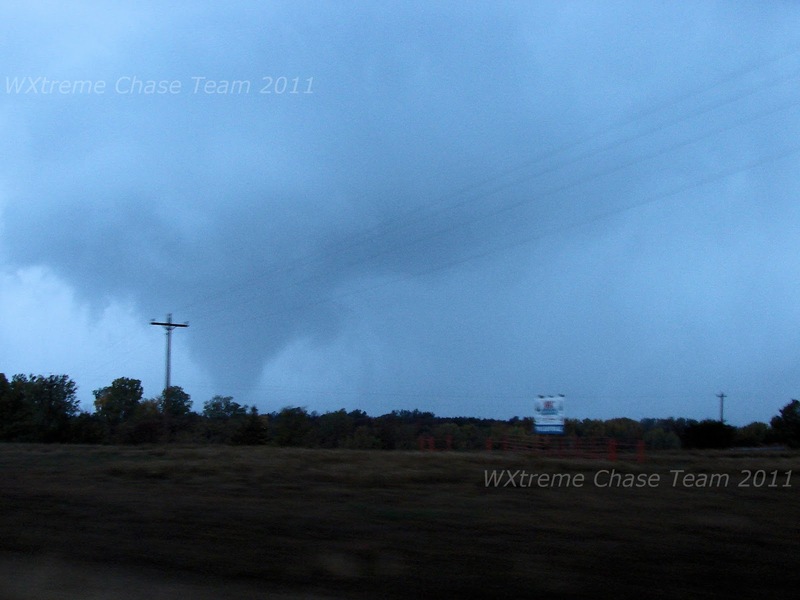 It continued to have intermittent ground circulations as we headed E to position for the next probably tornado. 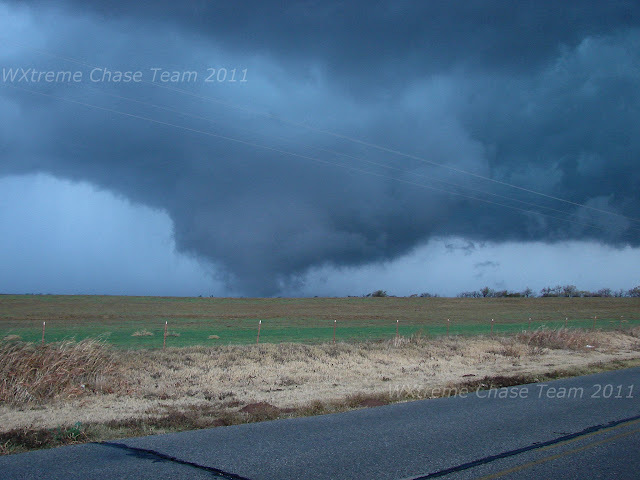 As we traveled N the storm began to weaken, although it did show signs of an attempt to produce yet another tornado as we approached US 152, but then it became quickly obvious the tornado potential was past and we called the chase as darkness fell.